Every day is Halloween in the eyes of a 7-year old kid. During this time of the year, parents have the most difficult job – to help their little ones decide on a mask and costume. The good news is you can always try out DIY projects; making a masquerade mask is a lot more fun than buying one. You can work on it together, bond and have the greatest time. 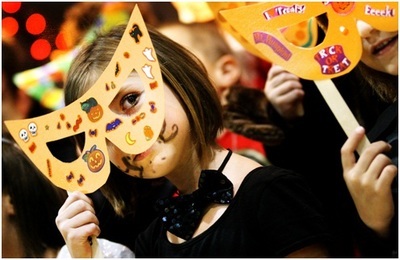 Here are some ideas for last minute Halloween masquerade masks for kids. Little girls love cute, fluffy kittens, so it goes without saying that your daughters will be pleased to wear a catwoman mask at a masquerade event. However, in spite of an endless variety of disguises available in the marketplace, nothing compares with a DIY project. Gather your girls around and let your talent shine. Decide on a pattern, colour and type of mask. Here’s an original idea you can consider – grab about ½ yards of black fabric. To make the ears you can use felt fabric because it’s stiff. Now let’s move onto the sewing process; you can do it by hand or with a sewing machine. As for the pattern, print a model from the web. To make the masks stand out, adorn them with rhinestones and glitter. Girls will certainly adore the end result. If you make them a scary skull mask you’ll become the coolest parent on the planet. Start by looking on the web for a pattern. Print it on cardboard and make sure it’s exactly what your kid wants. General colours for a skull mask are white and black; you can always mix things up to make the disguise as unique and as interesting as possible. Draw the scariest face and don’t forget to make holes for the eye area. Use an elastic band to tie the mask, and thus your kid will have his hands free to play with their friends and terrify the neighbours. Halloween is probably a child’s favourite holiday. He can wear a cool costume for a whole night and will go trick-or-treating. And since the pumpkin is symbolic to Halloween, making your kid a pumpkin-inspired mask will certainly make him the happiest kid. Although there are lots of mass-produced masks on the market, a DIY project is always a great opportunity to do something fun with your toddler. 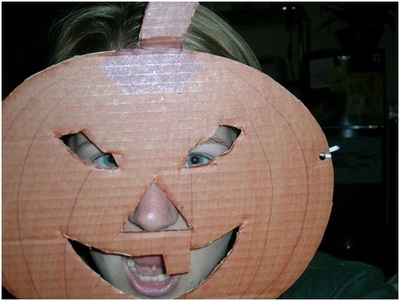 Print a pumpkin on a cardboard and colour it in bright orange. Make holes for the eyes and you’re done. It’s simple yet it can have an amazing impact on your kid. 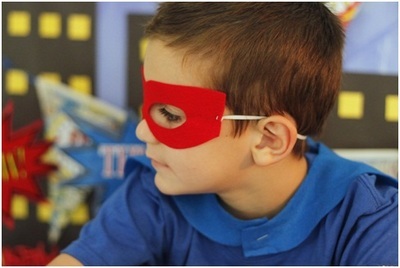 Every kid wants to be Spiderman and act like a superhero, especially at a Halloween or at any kind of masquerade party. This disguise is not just fun but also incredibly simple to craft. You need red fabric, a sewing machine and black paint. Make a simple cap from the red fabric and make small holes in the eye area. Then grab a thin paintbrush and draw the lines making a web. To make things even more interesting, you can always use the remaining fabric to make a cape. Check out Just Posh Masks for some interesting masquerade masks to purchase.